FLYTE is more than a non-profit organization. It is a community built by supporters and donors who want to empower students to change their lives – and the world – through travel. Today we’re so excited to share Tara’s story with you. 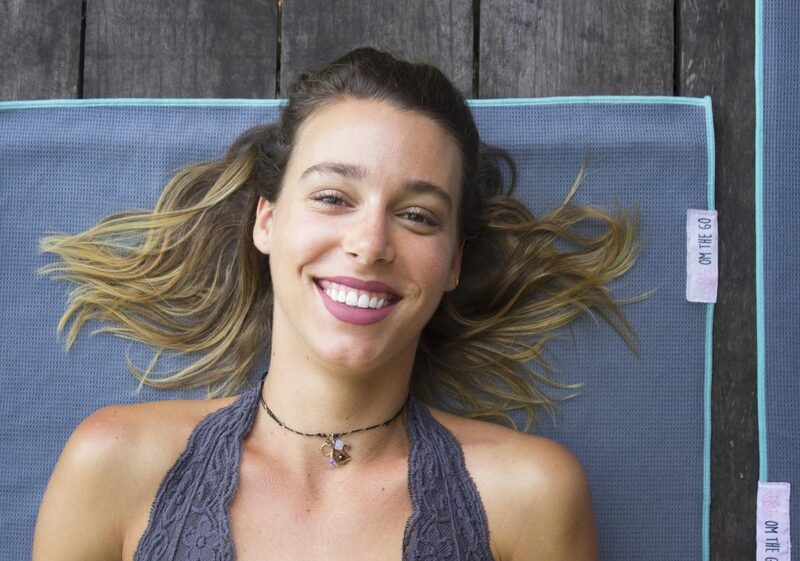 She’s an avid traveler, yogi, and entrepreneur who founded Om the Go. This company makes yoga more accessible even while on the road, and developed the Asana Pillow – a brilliant product that serves as both a yoga mat and travel pillow. Tara donated Asana Pillows to all the students and chaperones on Victor School’s trip to Guatemala. Considering they spent many mornings doing yoga at the Mahadevi Ashram, this was a perfect partnership! My name is Tara Lynn, and I was born and raised in sunny Florida. From my hometown of St. Petersburg, I moved to Miami for university in 2012 and part of me feels like this is when my life really began. And oh boy, did I have FUN. It was during these formative years figuring out “what I wanted to do when I grow up” that I found my passion for travel and my passion for yoga. My senior year of college, I stumbled upon authors like Rolf Potts, Henry David Thoreau, and Nomadic Matt which is when I really started to get the travel itch. I decided that I was going to travel the world after I graduated university, and that’s exactly what I did. Actually, I completed my last course abroad and never even came home to walk for graduation. I knew, as Henry David Thoreau would say, the “fetters” lurking – job offers, boyfriends, and leases. In May of 2015, after finishing the last class of my undergrad in Spain I took off for what would be a 10-month solo trip around the world. This is where my real education took place. Living far outside the bounds of my comfort zone, immersing myself in new cultures, and learning to find purpose within versus externally were just some of the greatest rewards. 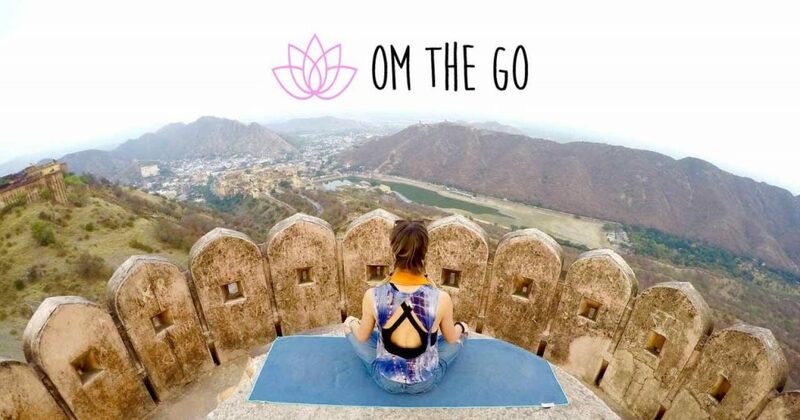 I found my personal yoga practice, which was a pivotal moment in my life and what then inspired me to create my business, Om the Go. And the rest is history! Travel and yoga are essential parts of my life and I feel elated every day to know that my “work” is my passion. How has travel impacted your life? I first want to define travel. TRAVEL is a chance for me to step outside of myself (my cultural norms, my identity, my beliefs – all formed from consistent stimuli inputs often in the form of my home media, family, friends, routine, jobs, et cetera.) I travel to get uncomfortable. For me, this is where growth begins. So, travel, in this sense, has impacted my life immensely. The 10-month solo trip around the world I referenced earlier is when I first got the taste of TRAVEL (the definition I provided above). In these months, I gave myself the chance to let go of my identity, shatter everything I thought I knew, and through this process I became fearless. This was the most peaceful feeling I’ve ever had. Some may call it my “wake up” moment, understanding my inner wisdom, maybe even enlightenment. All I know is I was 23-years old and I was at peace with death. That’s what I mean when I say, fearless. I was sitting on a boat, in Indonesia, cruising from one island to the next, watching the sunset unfold, and I suddenly realized I could die happy. I had arrived. What’s your favorite travel memory? Always a difficult one. Ok, I’ll share the first one that came to my mind just now! I visited India at the end of 2016 and wow. One of the best ways I’ve heard India described (if you’re forced to with ever-so-limiting language) was by my host in New Delhi, “A land of contradictions”. I was traveling in rural Rajasthan, and upon recommendations of friends from New Delhi, met with a local guide in the town of Bundi named Kukki. This man was fascinating! And didn’t miss a beat! Up early in the morning, back late at night, we explored markets, villages, waterfalls, ancient cave paintings, and enjoyed some epic meals together. One worth remembering was a meal we had bought from a street stall earlier in the morning, and once arrived at our wild destination, we found some nice rocks to sit down and enjoy our newspaper wrapped samosas. I was loving it – so simple and SO good. Then came the sweet stuff, literally. Kukki is also a talented sweet maker, and unbeknownst to me, brought some sweet stuff to enjoy! He hadn’t said anything, but out of my peripheral vision, I saw him unwrapping his treats and just observed. I didn’t expect him to share any with me but I saw him break his treat in half, observe the split parts, and then consciously handed me over the bigger half. My heart melted. Seemingly small moments like these are often the most memorable. Tell us more about Om the Go. How has travel shaped your company’s vision and goals? As I mentioned before, Om the Go was conceptualized through travel! One of my goals for my post-graduation trip was to spend a minimum of one month at a yoga ashram – which I ended up doing in Vietnam at a Sivananda ashram. I spent this month practicing yoga and meditation twice per day, eating a vegan diet, and learning more about myself than ever before. Once I had left, and using what I learned at the ashram, I was able to do yoga on my own – to flow through an entire moving meditation. This was the most empowered I had ever felt, and then I understood how important having a self-practice was. This is the vision behind Om the Go – inspiring you to “Bring Your Own Bliss”. What we’re all looking for, is already within. We just need to tap into it! And I like to say getting on the mat helps. Why did you choose to support FLYTE? Nomadic Matt was one of the authors that inspired me to travel. He gave me the confidence and tools to know that I could do a big trip on a small budget, and that was huge to hear as a broke college student! I feel, he inspired me to travel, which inspired me to start Om the Go, so it just made sense for me to bring it back full circle! When I found out about his organization FLYTE, I immediately knew I wanted to be a part of it. Especially because I have seen how formative travel has been for my education. 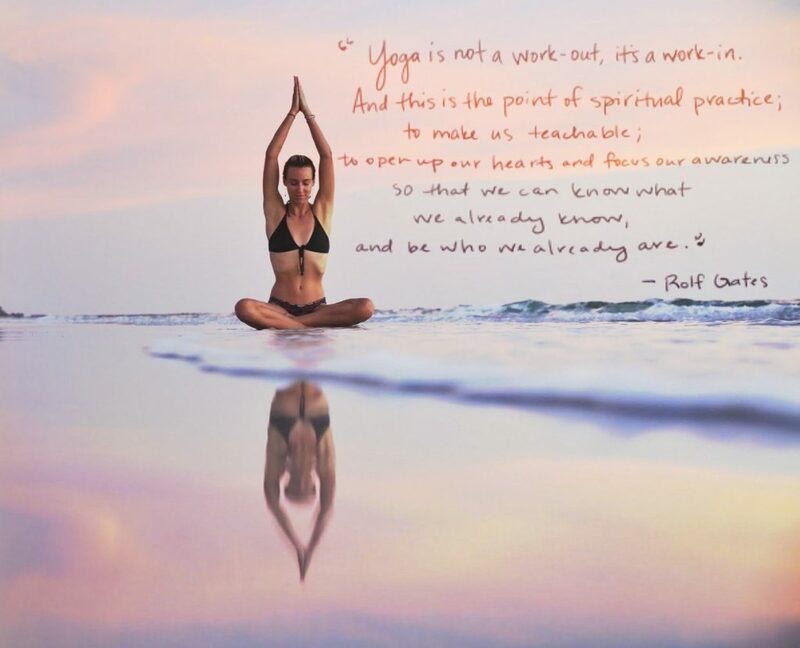 And what’s beautiful, is at the very moment I reached out to FLYTE to donate in the way I can (Om the Go travel yoga mats), it was unbelievably kismet because the teacher was so receptive to me and my donation because yoga was going to be a huge part of their trip! I almost couldn’t believe how perfect it all was. What advice would you give someone who’s hesitant about the idea of traveling abroad? FEAR stands for False Evidence Appearing Real. What’s stopping you?